VATICAN CITY (CNS) — During Holy Week and in the Easter season, the Vatican will take part in several initiatives highlighting the importance of ecology and the care for creation. 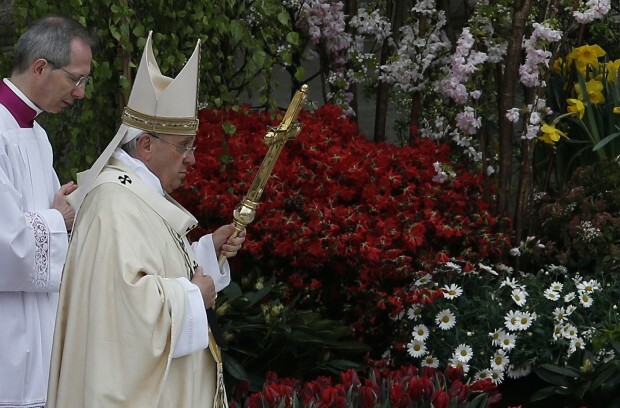 The Governorate of Vatican City State announced March 18 that the thousands of floral arrangements for the Easter morning Mass and the pope’s solemn blessing “urbi et orbi” (to the city and to the world), will be repurposed after the celebrations. Thousands of bushes, flowering trees, tulips and other flowering bulbs, which are a gift of growers in the Netherlands, will be replanted in the Vatican gardens. The plants also will be distributed to various pontifical colleges and institutions “so that they may bloom in the coming years,” the governorate said. The cupola of St. Peter’s Basilica and Bernini’s famed colonnade will also go dark March 19 for one hour in an effort to promote climate change awareness.